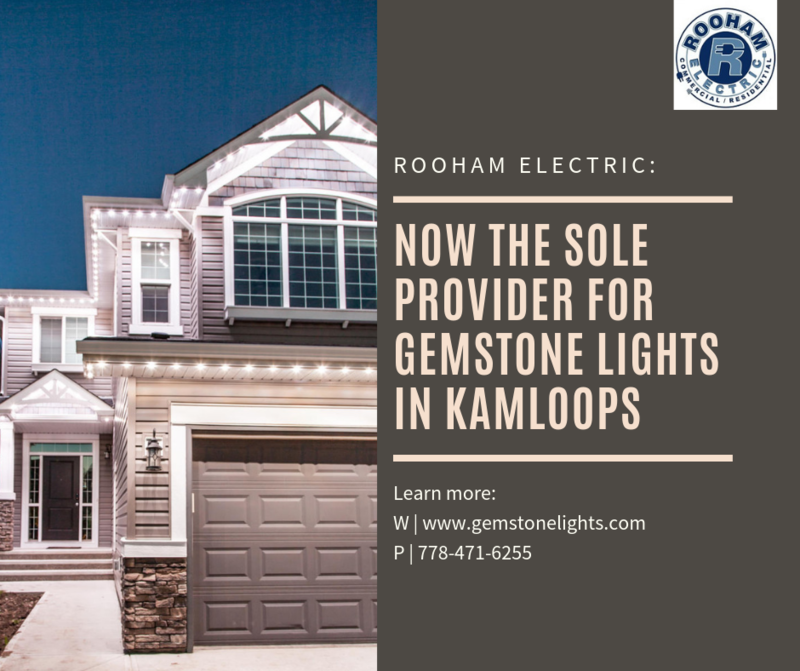 Rooham Electric is proud to announce that we are now the sole vendor for Gemstone Lights in Kamloops! Gemtone offers year-round SMART OUTDOOR LIGHTING in any color, for any season or any reason. They are the perfect LED lighting solution for use all year round. With the Gemstone Lights proprietary controller and app, you are in complete creative control! Select from thousands of colour combinations, choose patterns or individually control each light. There is no limit to what you can do. We are extremely excited to bring this fantastic product to Kamloops and the surrounding areas. We invite you to contact us to find out how you can personalize your home with these truly amazing lights and to visit the Gemstone website for more information: https://gemstonelights.com/.